The handsome 2014 Audi Q7 stands apart from other 7-passenger SUVs by offering more performance, more engines and more luxury. With a choice of three V6 engines - two gasoline, one diesel - the Q7 is far more flexible than most of its rivals. Audi's quattro all-wheel drive is standard, ensuring no matter what the weather, the Q7 can safely deliver you to your destination. Audi q7: best soccer mom car ever. I live the way it drives. It has blind spot lights that come on if there’s a car in your blind spot. It gives reminders when maintenance is due or the car detects a problem. The seats are easy to put up and down. The seat warmers and seated steering wheel are the best. The back of the car has its own temperature control. Audi review and my personal experience with the car. Its reliable no problems smooth drive easy on gas great overall was good when I would drive in the snow in NY I am in FL now it's a great car I would recommend buyers to chose it it's a family car I have one in red details are nice fits 2 big car seats I have two boys and they love it. 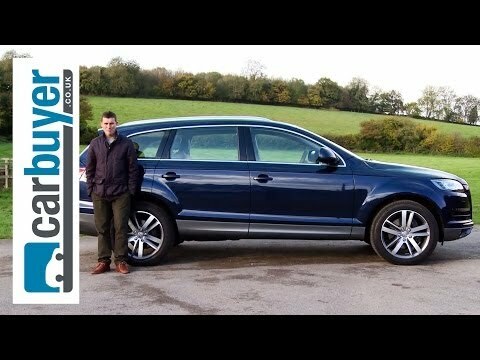 Audi SUV review comfort and reliability. Very reliable. Nice family vehicle with 3 row seating and plenty of space. Navigation and backup camera are nice features and add to the safety of the vehicle. Goes great in all weather including snow and rain. Heated seats and climate control add to the comfort of the car.